Romance, rage and revenge. 'Been So Long' is a neon soaked, modern day romance set on the streets of London's musical hot-bed of Camden. We follow Simone (Michaela Coel), a dedicated single mother who, on a rare night on the town is charmed by a handsome yet troubled stranger, Raymond (Arinzé Kene), igniting old and new feelings. Set against the backdrop of an ever-changing city, 'Been So Long' is a fresh take on love, life and moving on. 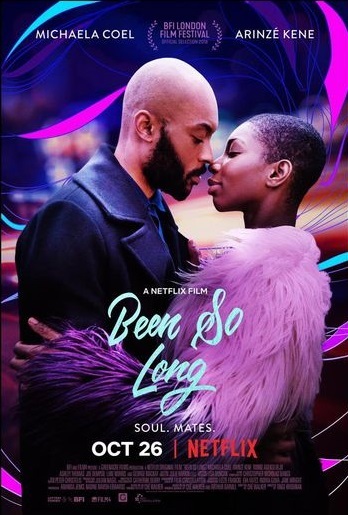 ‘Been So Long’ is directed by Tinge Krishnan and based on the stage play created by Ché Walker and Arthur Darvill. Rounding out the cast are George MacKay, Ronke Adekoluejo, Ashley Thomas, Luke Norris, Joe Dempsie, Rakie Ayola and Mya Lewis. It is a Greenacre Films production, backed by the BFI and Film4. It screens at the BFI London Film Festival on October 16th and is available on Netflix from October 26th.